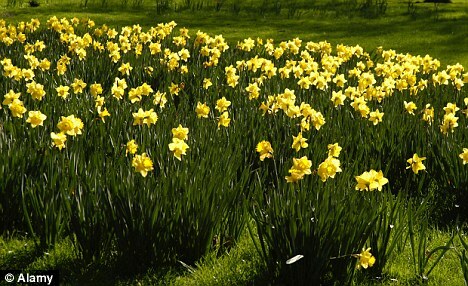 Daffodils in London by March 1? Some people call what has been happening the last few years “weather weirding,” and March is turning out to be a fine example. Now, of course, a cold snap in Northern states has brought some of the lowest temperatures of the season, with damage to tree crops alone likely to be in the millions of dollars. Lurching from one weather extreme to another seems to have become routine across the Northern Hemisphere. Parts of the United States may be shivering now, but Scotland is setting heat records. Across Europe, people died by the hundreds during a severe cold wave in the first half of February, but a week later revelers in Paris were strolling down the Champs-Élysées in their shirt-sleeves. Does science have a clue what is going on? The short answer appears to be: not quite. The longer answer is that researchers are developing theories that, should they withstand critical scrutiny, may tie at least some of the erratic weather to global warming. Specifically, suspicion is focused these days on the drastic decline of sea ice in the Arctic, which is believed to be a direct consequence of the human release of greenhouse gases. Some aspects of the climate situation are clear from earlier research. As the planet warms, many scientists say, more energy and water vapor are entering the atmosphere and driving weather systems. “The reason you have a clothes dryer that heats the air is that warm air can evaporate water more easily,” said Thomas C. Peterson, a researcher with the National Oceanic and Atmospheric Administration. A report released on Wednesday by the Intergovernmental Panel on Climate Change, the United Nations body that issues periodic updates on climate science, confirmed that a strong body of evidence links global warming to an increase in heat waves, a rise in episodes of heavy rainfall and other precipitation, and more frequent coastal flooding. “A changing climate leads to changes in the frequency, intensity, spatial extent, duration and timing of extreme weather and climate events, and can result in unprecedented extreme weather and climate events,” the report found. Some of the documented imbalances in the climate have certainly become remarkable. United States government scientists recently reported, for instance, that February was the 324th consecutive month in which global temperatures exceeded their long-term average for a given month; the last month with below-average temperatures was February 1985. In the United States, many more record highs are being set at weather stations than record lows, a bellwether indicator of a warming climate. So far this year, the United States has set 17 new daily highs for every new daily low, according to an analysis performed for The New York Times by Climate Central, a research group in New Jersey. Last year, despite a chilly winter, the country set nearly three new highs for every low, the analysis found. But, while the link between heat waves and global warming may be clear, the evidence is much thinner regarding some types of weather extremes. Scientists studying tornadoes are plagued by poor statistics that could be hiding significant trends, but so far, they are not seeing any long-term increase in the most damaging twisters. And researchers studying specific events, like the Russian heat wave of 2010, have often come to conflicting conclusions about whether to blame climate change. Yet mainstream scientists are determined to figure out which climate extremes are being influenced by human activity, and their attention is increasingly drawn to the Arctic sea ice. Because greenhouse gases are causing the Arctic to warm more rapidly than the rest of the planet, the sea ice cap has shrunk about 40 percent since the early 1980s. That means an area of the Arctic Ocean the size of Europe has become dark, open water in the summer instead of reflective ice, absorbing extra heat and then releasing it to the atmosphere in the fall and early winter. Dr. Francis, of Rutgers, has presented evidence that this is affecting the jet stream, the huge river of air that circles the Northern Hemisphere in a loopy, meandering fashion. Her research suggests that the declining temperature contrast between the Arctic and the middle latitudes is causing kinks in the jet stream to move from west to east more slowly than before, and that those kinks have everything to do with the weather in a particular spot. “This means that whatever weather you have today — be it wet, hot, dry or snowy — is more likely to last longer than it used to,” said Dr. Francis, who published a major paper on her theory a few weeks ago. “If conditions hang around long enough, the chances increase for an extreme heat wave, drought or cold spell to occur,” she said, but the weather can change rapidly once the kink in the jet stream moves along. Not all of her colleagues buy that explanation. Martin P. Hoerling, a NOAA researcher who analyzes climate events, agrees with other scientists that global warming is a problem to be taken seriously. But he contends that some researchers are in too much of a rush to attribute specific weather events to human causes. Dr. Hoerling said he had run computer analyses that failed to confirm a widespread effect outside the Arctic from declining sea ice. “What’s happening in the Arctic is mostly staying in the Arctic,” he said. That was certainly what farmers thought. Mr. Purinton, the syrup producer in Huntington, Vt., has been tapping maple trees for 46 years, since he was a boy. This year he tapped the trees two weeks earlier than normal, a consequence of the warm winter. But when the heat wave hit, the trees budded early, and this tends to ruin the taste of maple syrup. That forced him to stop four weeks earlier than normal and cut his production in half compared with a typical year.